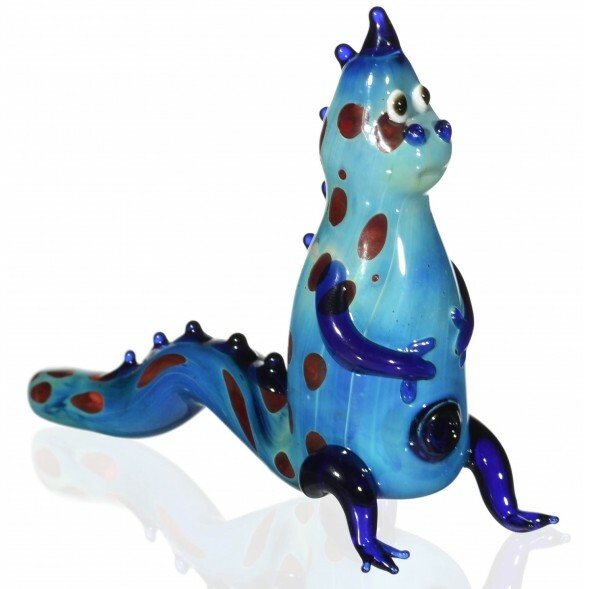 Danny Da Dino - 5.5” Detailed Blue Dino Glass Hand Pipe -The Greatest Online Smoke Shop! 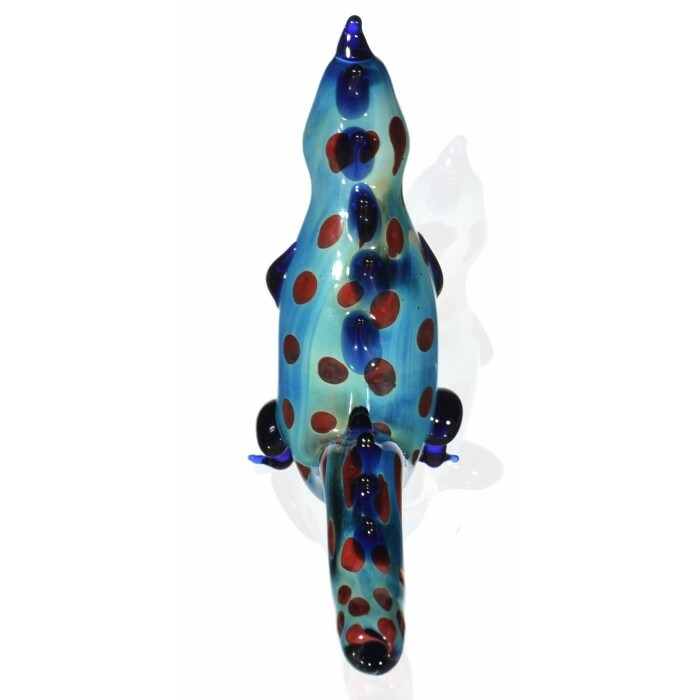 Red splotches cover the blue body of this detailed dino piece. Spikes grow along the tail, back, and head of the pipe. Detailed arms and legs protrude from the surface. 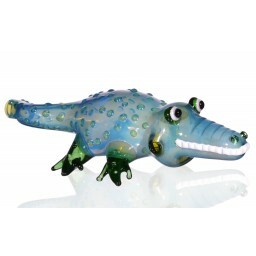 A mouth, nose, and googly eyes were added to give this pipe a personality. The bottom of the piece serves as the bowl, with the mouthpiece located at the tip of the tail. Danny the Dino Pipe is the smoking buddy you’ve been searching for! Just look at his confused little face, you can see he took a few hits and has been pondering the intricacies of the universe ever since. Detailed googly eyes, a little nose, and a mouth give Danny his fun personality. Little arms and legs grow from his body, adding some more character to the piece. 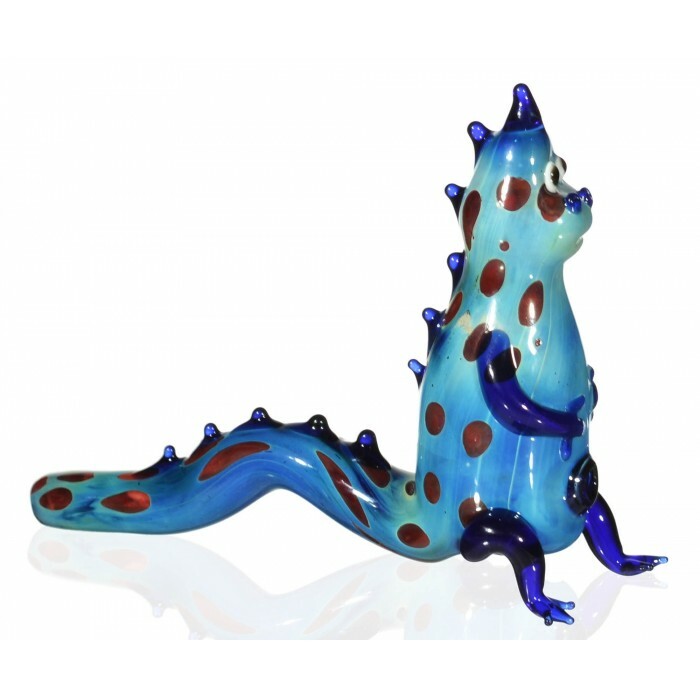 His blue body is covered in red splotches, and blue spikes protrude along his tail, back, and head. Although Danny can sit upright when not in use, the bowl is on his bottom for when you actually smoke. 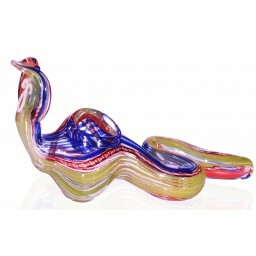 This makes for a very discreet piece that looks great on any shelf! 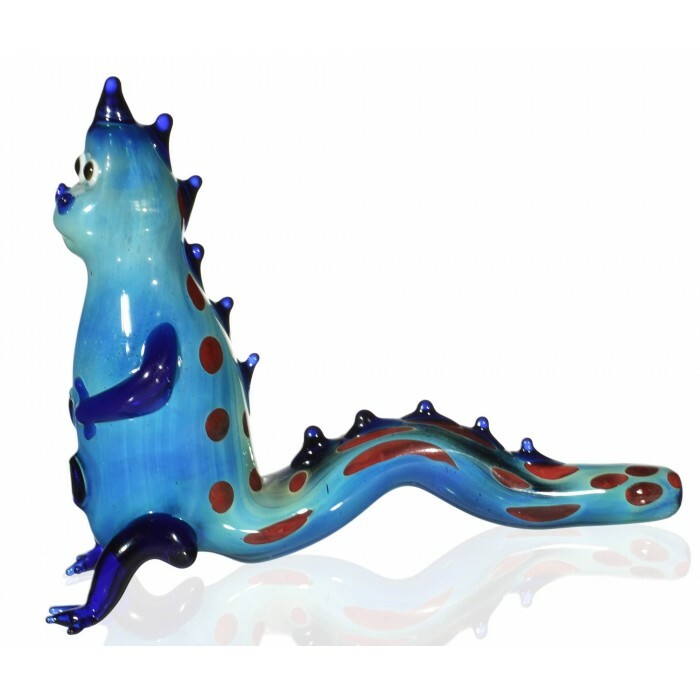 The mouthpiece is located at the tip of his tail. 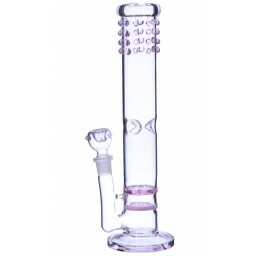 At 5.5”, Danny is sure to give you some nice rips. 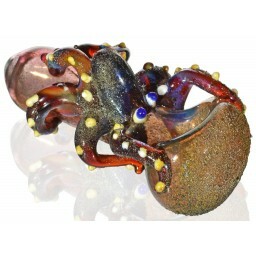 Who wouldn’t want their pipe to double as a smoking pal? Grab Danny Da Dino today.